Posted on December 6, 2018 at 1:33 pm. The solar outdoor lighting market is crowded with a wide range of choices that provide different light outputs, batteries, bulb options, and more—not to mention the fact that they all explain these specifications in different ways. We’ve created a free guide explaining how to understand and compare these specifications. 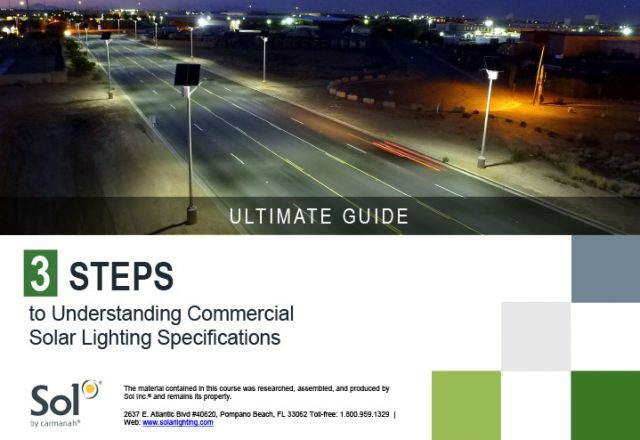 If you are a lighting professional tasked with helping a client select a solar lighting option, this guide will walk you through the questions you can work through together to complete the project. For clients themselves, this guide is also a valuable tool for self-education. This helpful resource also contains case studies, example calculations, and diagrams to help guide you through the process. We also have a version of this guide available on AEC Daily. 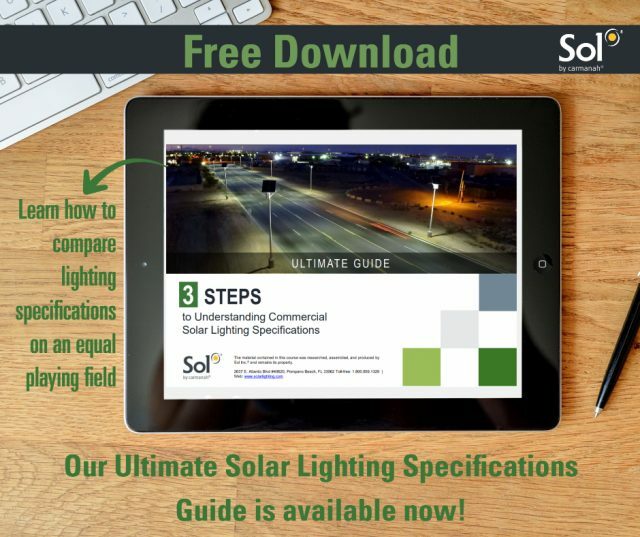 Earn two education credits when you complete “3 Steps to Understanding Commercial Solar Lighting Specifications.” Learn more about how to earn AEC Daily credits with Sol here.